The SAAB office property was acquired in September 2014. The property comprises over 17,000 sqm of office and light assembly space. 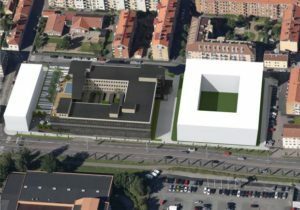 The property is located in Jönköping CBD and is fully let to SAAB AB on a 3-year lease. Nordika plans to invest and upgrade/convert the building over a 3-year period.